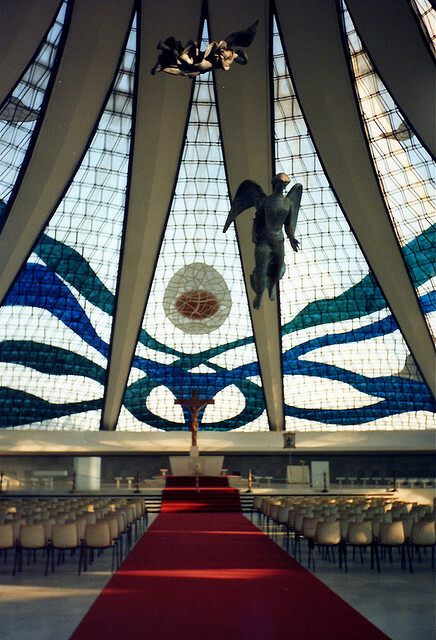 Being a Roman Catholic Cathedral, it was designed by the architect: Oscar Niemeyer and dedicated to the patron saint of Brazil, Our Lady of Aparecia. Its structure consists of 16 concrete columns, which are 40m high with two hands which are pointing to the heaven. 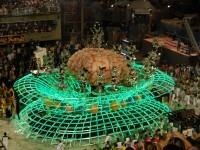 It holds up around four thousand people. 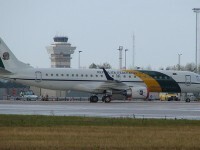 Its interior is decorated with stained glass. At the entrance there are the statues of the Four Evangelist. The cathedral is open for visitors. 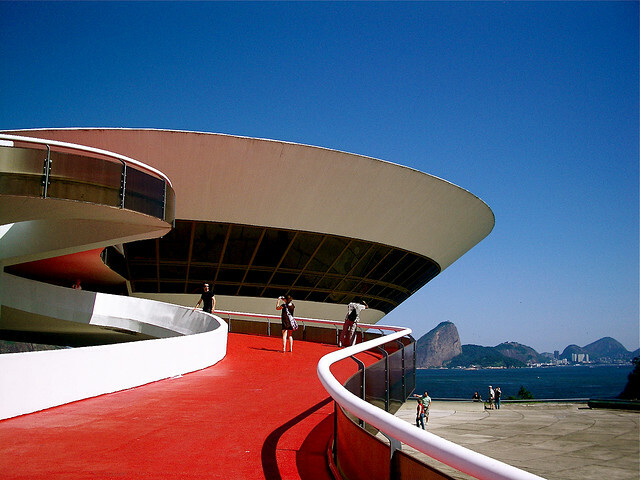 It is a government building designed by the earlier mentioned Oscar Niemeyer in a modern Brazilian style. The two semi-spheres of the buildings are the seat of the Senate and the seat of the Chamber of the Deputies. 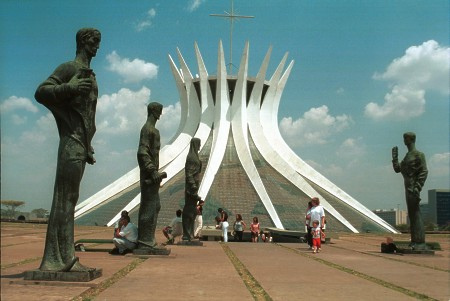 The building is located in the heart of the Monumental Axis, on the main street of Brasilia. In 2007, the Institute of Historic and Artistic National Heritage declared the building as a historic heritage of the Brazilian people. 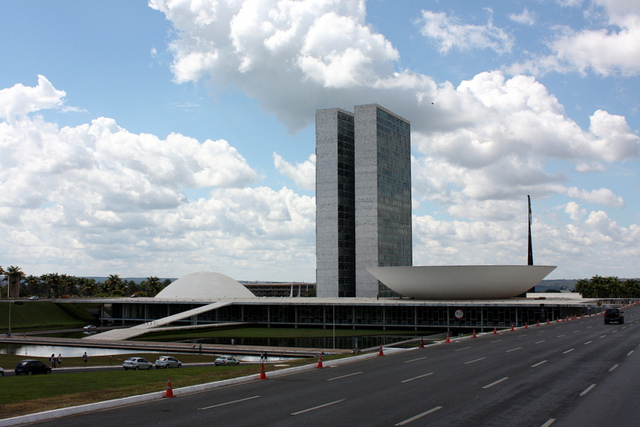 The National Congress Building is also ranked as part of Brasilia’s original urban buildings in the UNESCO World Heritage Sites. The Juscelino Kubitschek Bridge or President JK Bridge, takes its name from the former president of Brazil Juscelino Kubitschek de Oliveira. It was built by the ideas of the architects Alexandre Chan and Mario Vila Verde. It is a steel and concrete bridge crossing the Paranoa Lake in Brasilia. The bridge is accessible for pedestrians, bicyclist and skaters as well. 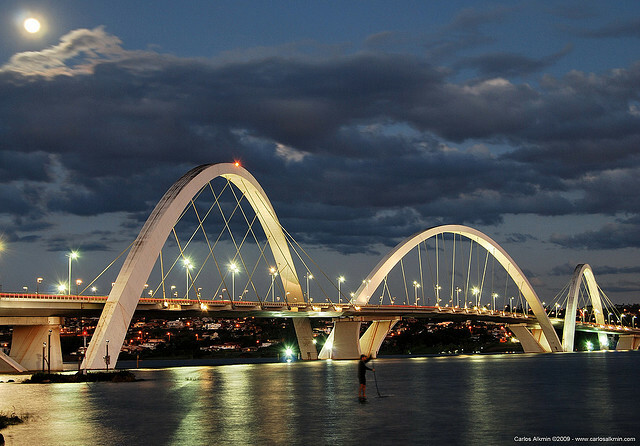 Because of its architectural beauty, involving stunning lightening effects, the bridge it gained several awards and nowadays it is mention among Brasilia’s favorite landmarks. Situated less than 10 miles of Rio de Janeiro, in the city of Niterói, it is known as one of the most visited tourist attraction in Brazil. The museum is home for a wide range of Brazilian artist’s paintings and sculptures belonging to the contemporary art. It took five years to be opened. Although the museum charges the visitors, if you have a look at its design, I’m sure you think it is a worth see building in Brazil.